Our Saviour's Pre-K 3/4 program provides a happy Christian environment for each child to socialize, develop, and learn. 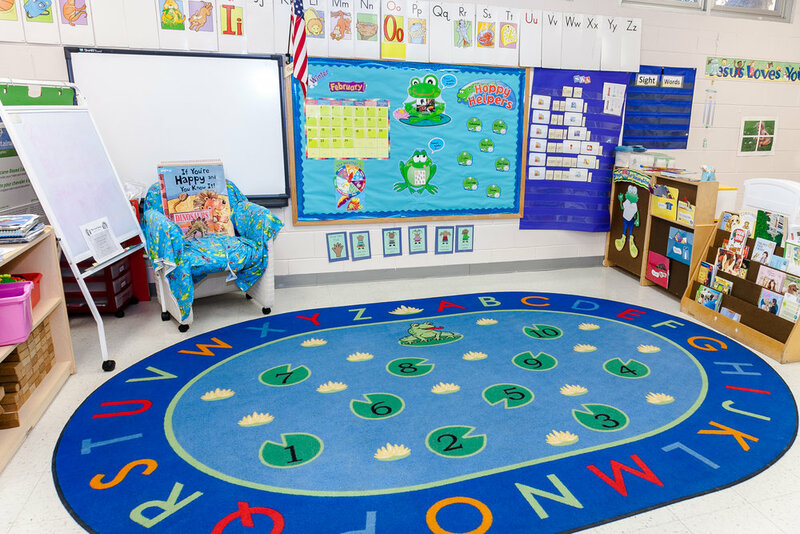 Each morning we have "circle time" where we focus on the alphabet, numbers, colors, shapes, days and months. These topics will be introduced and expanded through songs, stories, and finger play. Activities related to our monthly themes help in each child's development, including fine and gross motor skills, language development, social- emotional development, and following oral directions. A few of our goals for the year are: upper and lower case letter recognition, letter sounds, learning one-to-one correspondence to 30, rhyming skills, 40 high frequency words, and an introduction into the world of math, science, and social studies. Our Curriculum Big Day for Pre K! has many themes and activities that promote a love of learning and growth for each student. Some of our themes are: School, My Family and Friends, Our Community, Awesome Animals, Imagination, Growing Up Healthy, Nature all Around Us, Under the Sea, Our Five Senses, and many more! For the full day students the following enrichment activities are given: Spanish, Art, Music, Library/Media and Physical Education.